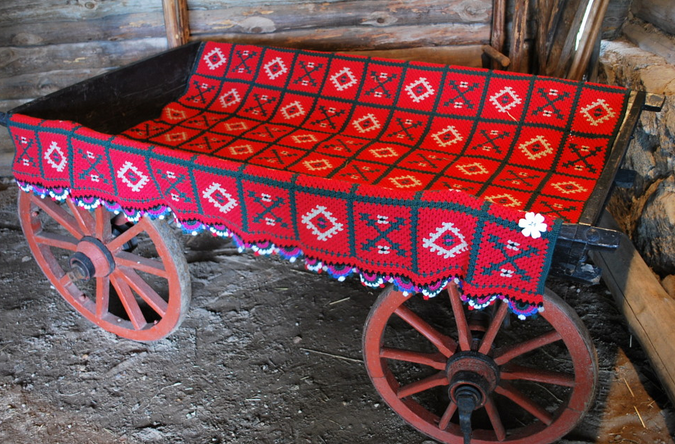 Every October, the Finno-Ugric days take place in Estonia and other countries with which Estonians share their roots, with the purpose of acquainting people with their origins and traditions, as well as celebrating their culture and identity. Among the several events that took place within the Finno-Ugrian days, the Etnodisko is worth highlighting. It took place on 13 October at the Must Puudel cafe in Tallinn’s Old Town and it gave the participants the opportunity to experience Finno-Ugric folk music, dances, games and even some food. The event started with some traditional games, which were the best way to get things going since there were a lot of kids, but even adults joined in at the insistence of the organisers and they all kept playing and dancing until the next activity that had been planned began. During that first part of the evening, music from contemporary Finno-Ugric artists was played, as well as some of their videos. Listening to traditional music in a more modern way was a pleasant surprise and an enjoyable experience, there were even some folk-rap songs! Then it was the turn of Ksenya Bagaeva, a well known folk singer, to perform for the participants, who kept the circle they had formed for the games and danced throughout her whole show. Her sweet voice and the happy feel of the songs were one of the most enjoyable parts of the event, especially because of her attitude: you could tell she really felt a passion for folk music. She wanted to make sure everyone was having a good time and even pulled some of the people who were sitting down into the circle where most of the people were dancing so that everyone took part of the action. All in all, the Etnodisko felt less like a disco and more like going to a big, yet intimate, family party. The wooden ceilings, stone walls and soft light of the room made the place feel cozy and comfortable. Many people knew each other or were just genuinely happy to be around others who shared their origins and some spontaneous dances broke out throughout the whole evening, even a couple of kids completely stole the show when they began dancing to the hip-hop tunes. A few women proudly wore their beautiful traditional costumes while others used a modernised version of them or only some accessories, but the Finno-Ugric theme and people’s pride of being part of it was definitely visible. The aim of the event was achieved: everyone had a great time celebrating their roots.